An alliance of local growers on the scenic highland slopes of the Gayo Mountains has made outstanding progress in promoting organic practices and Stabilizing local economics. The coffee is full bodied, slightly fruity with berry notes. It has a very pleasant earthiness with a subtle musty taste, very mild acidity, and a light, sweet finish. From the scenic highland slopes of the Gayo Mountains near Laut Tawar in the Takengon region of Northern Sumatra, comes the exotically aromatic “Takengon” Sumatra coffee. There are over 200 small coffee producers who contribute to this very important OCIA certified organic coffee production. The farmers and communities of this remote region face a number of environmental and socio-economic challenges, including soil erosion, deforestation, as well as low and unstable incomes. The organization, production, technical assistance, and higher prices for certified organic coffee help these remote farmers by enabling them to generate a better income for themselves and to improve the economic basis in the communities. This project consists of an alliance of local and international partners dedicated to sustainable, organic coffee production. The partners include the Community-Based Gayo Organic Farmers Association, Trimaju, and the experienced local coffee processor-exporter. With initial organizational support from the Indonesian Social Concern Foundation (YPSI), the project combines several local farmer groups, seasoned organic fields workers, and centralized green coffee processing facilities. The project actively promotes organic practices including use of composts and green manures, biological pest and disease management, and complimentary interplanting of tree and plant species in the coffee farms. In this part of Aceh, the tree and plant diversity includes leguminous shade trees, citrus fruit trees, fuel wood tree species, and horticultural crops. These trees and plants provide additional income as well as habitats for important bird populations. The diversification of species also serves to support a more stable local economic base. 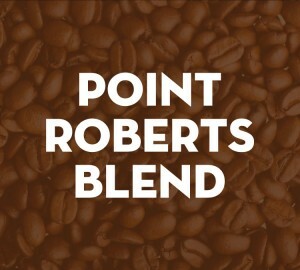 This OCIA certified organic Sumatra Semi-Washed coffee is used in Point Roberts House Blend. This blend of Costa Rican and Sumatran beans produces a full bodied, slightly fruity yet smoky flavor with a rich, mild earthiness and a clean, sweet finish. 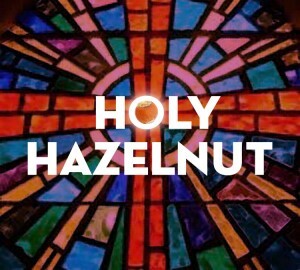 A medium roast (plenty of morning wake-me-up) that is extremely well balanced.